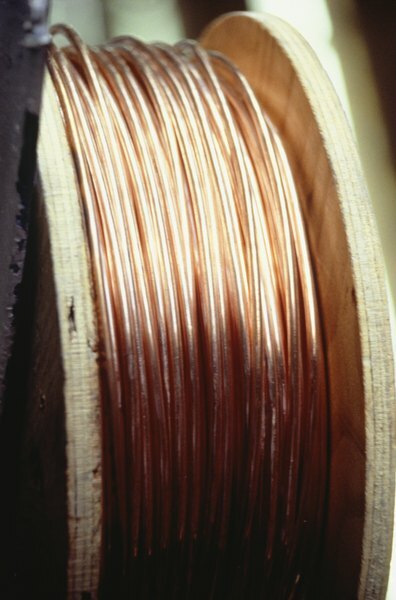 Copper has a wide range of industrial uses. Copper is one of the most important base metals, and the metal is used by a wide range of industries. COMEX copper is the copper futures contract that trades on Commodity Exchange division of the New York Mercantile Exchange. With copper futures you can purchase contracts with delivery dates out to five years in the future. Of course, you can always sell your futures position to lock in a profit. To buy copper or any other type of futures, you need to open an account with a commodity futures broker. These brokers are registered with the Commodity Futures Trading Commission and National Futures Association in the same manner stockbrokers register with the Financial Industry Regulatory Authority. You can place trades either by calling a live broker or using broker-supplied software to make trades from your computer. The use of live brokers to place trades is still a part of the futures trading business. The COMEX copper futures contract is for the future delivery of 25,000 pounds of Grade 1 copper. Contract months are available for every month for the next two years and then quarterly out to five years. Active traders focus on the current or next month prices, which will closely match the spot price of copper. An open futures position can always be rolled out to a future contract date to avoid reaching the end of trading on a contract and be liable to buy 25,000 pounds of copper. Copper is priced per pound out to 0.05 cent increments. When your trade copper futures contracts, you can initiate a trade with either a buy or sell order. You buy to profit from a rising copper price or sell to profit from a falling price. The opposite order type closes the trade. When you place a trade, the broker requires the payment of a margin deposit. In February 2013, the margin for COMEX futures was $3,410 per contract. The use of margin allows you to leverage changes in the price of copper, since 25,000 pounds of copper is worth over $90,000 at the $3.70 copper price of early 2013. Once you have a position in copper futures, you will earn a profit or loss based on how much the price of copper changes. For example, you bought one contract with a price of $3.70; copper moves up to $3.80 for a 10 cent gain; 10 cents on 25,000 pounds produces a $2,500 profit. If copper went down instead of up, the broker would require you to put up more margin money or close out the trade. The maintenance margin of $3,100 means that at a $310 loss level, your broker would be asking for more money to keep the position open. COMEX also offers an e-mini version of the copper futures contract. The e-mini copper is half the size -- 12,500 pounds -- of the regular copper futures and the initial and maintenance margin amounts are also half-sized. E-mini contracts also settle for cash instead of copper, so there is no worry of accidentally buying 6 tons of copper.